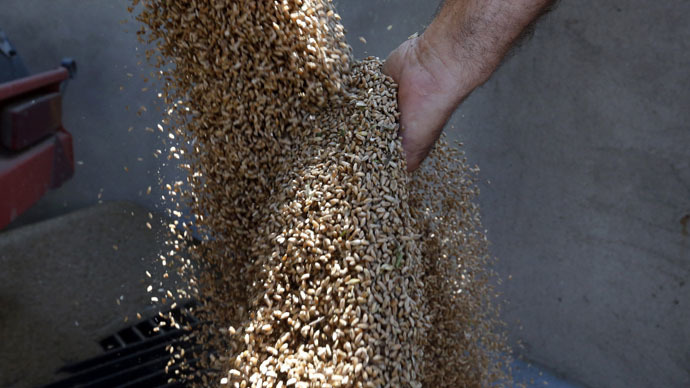 Kansas farmers are funding a genetic research project aimed at developing gluten-free grains, as an increasing number of Americans are being diagnosed with an autoimmune condition preventing them from safely digesting wheat, barley and rye. The Kansas Wheat Commission earmarked $200,000 for the first two years of the project, which is seeking to catalog the DNA sequences of wheat which can trigger reactions in people suffering from celiac disease. The research is being led by Engrain, a Kansas-based company specializing in improving baked goods. “If you know you are producing a crop that is not tolerated well by people, then it's the right thing to do,” Chris Miller, senior director of research for Engrain and the project's lead researcher, told AP. According to the National Foundation for Celiac Awareness, approximately one percent, or one in 133 Americans, have celiac disease – an autoimmune disorder that damages the small intestine and interferes with the absorption of nutrients from food. Celiac disease is genetic, and there is no treatment other than a gluten-free diet which is free of any foods that contain wheat, rye or barley. Sales of gluten-free bread, pasta, crackers and other products in the US reached $973 million in 2014, up from $810 million the year before, according to consumer research firm Packaged Facts. Research has already identified about 20 protein fragments in wheat that cause celiac reactions, but the new project hopes to identify all of them, and ultimately breed a variety of wheat safe for consumption by celiac sufferers. According to the Whole Grains Council, most grains – for example, buckwheat, corn, millet, rice, wild rice, sorghum and quinoa – don’t have gluten. Oats don’t have gluten naturally, but frequently receive residual traces when processed on equipment used for wheat, barley and rye. A 2013 report by the Institute for Responsible Technology (IRT) indicated that the introduction of genetically modified organisms (GMOs) to the American food supply in the mid-1990s could have been a “possible environmental trigger” for the sudden rise in the number of celiac cases. The IRT cited data from the US Department of Agriculture, as well as US Environmental Protection Agency records, medical journal reviews, and international research. An Italian company is testing wheat that is purged of gluten via a special fermentation process, and is conducting live studies on celiac patients. Initial studies have shown 100 percent tolerance to baked goods made with the “digested flour.” A third, long-term study is still underway.